Princess Haven was never meant to be Queen.Her immortality has saved her time and time again, but when the last of her royal family dies at her feet, she is next in line to rule a nation on the brink of war. With no formal training on how to be Queen, Haven must rise to the occasion with the help of her best friends, and personal guard, or risk losing everyone she has ever loved. “You will be perfect. You will be great. You will be a just Queen.” Haven paced the length of the hall, trying to calm her rattled nerves. “You will lead them fairly. You will save them. By the grace of the gods, you will.”The distant boom of drums startled her. She stopped abruptly, her gaze lingering on the large oak doors leading to the throne room. An epic fantasy led by a powerful female protagonist, Haven’s narrative unfolds in a world where magic is rare and war is brewing. 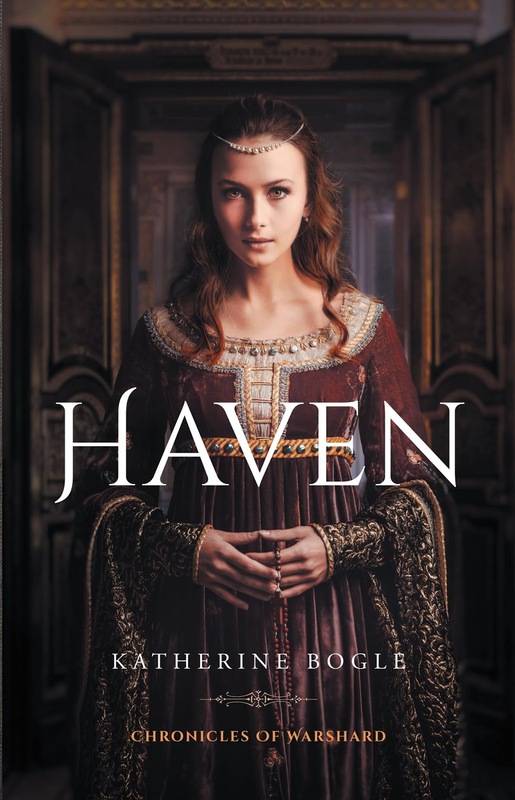 A newly crowned queen & gifted with immortality, Haven is granted ultimate power in her kingdom in the wake of her family’s murder. Thrown into the role of Queen, she must rely on her friends, advisors and fellow kings to survive the coming storm and grow confident in her ruling ability. It is a well-written novel, full of conflict and layered with unexpected themes. 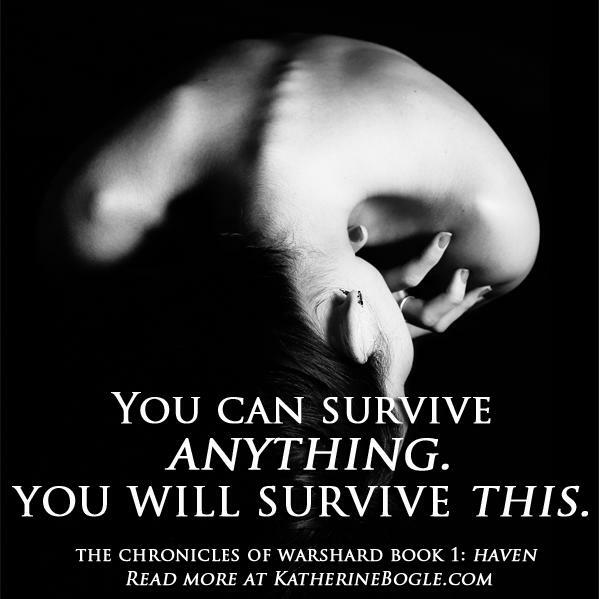 At the core is Haven, a protagonist and heroine who is compassionate and insecure. She is a relatable human being whose concern for her subjects’ well-being also makes her rather endearing. The secondary characters have interesting stories of their own, and while most aren’t as fully developed as I wish they would be, the primary male supporters are given enough depth and room to grow. 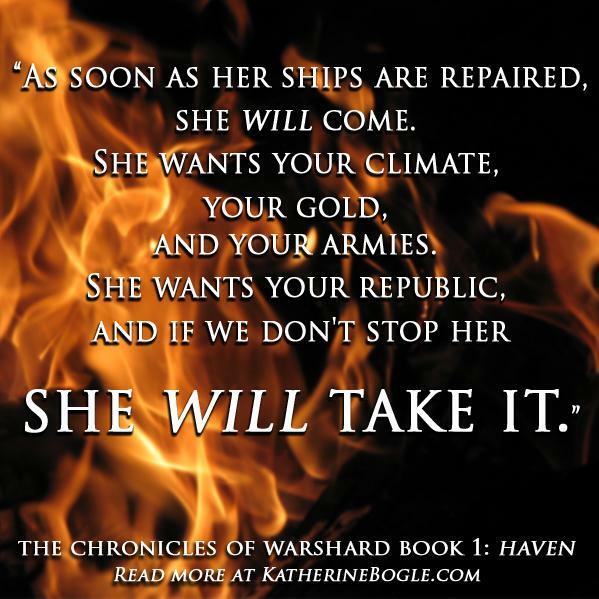 Fans of epic fantasy will be drawn into Haven’s story, discovering in her a strong female protagonist. Looking for a new world to get lost in, look no further. War has come to the Six Kingdoms of Warshard and the Kingdom of Rythern is the latest victim of Queen Kadia’s insanity. With the murder of her parents and her brothers Haven Fyre is now queen of Rythern, a role she was never suppose to hold. But her people need a queen, and in Haven they will have one that cannot be killed. Going to war against Kadia seems suicide with the kingdoms various armies having suffered losses to her shadow soldiers. With this seeming impossibility the Royals are faced with an impossible decision – fight, flee, or do nothing. Does Haven commit her remaining soldiers to aid King Corrin in his plan to retake his fallen capital? Or are her troops needed first and foremost in defense of Rythern? Or does she offer Rythern as a place of sanctuary for those who are fleeing Kadia’s aggression? Haven is a book that takes the reader on a journey – a journey of emotion, of loss, of friendship, of betrayal, and of promise. And this is a journey of growth as Haven becomes the queen she never expected to be by facing her fears and learning to live life. This is the first (per the title) in a series and I for one am looking forward to additional books in this series. Though the book is complete in the story it is telling there is most definitely plenty of material from which more could come. The writing style of Katherine Bogle is steady and flowing. There are periods of endless action mixed with those of waiting which is true to what one would experience in one’s own life if one were in a similar situation. This book is definitely aimed at older teens and adults due to the subject matter of a few scenes – this book after all deals with war and the violence that comes with such a state of affairs. Overall I highly recommend this book and this author’s work. Next Free Kindle Downloads For Your Weekend!